It's Facebook Fridays! for December 28, 2018, and we bring you the Angel of Health and Healing! 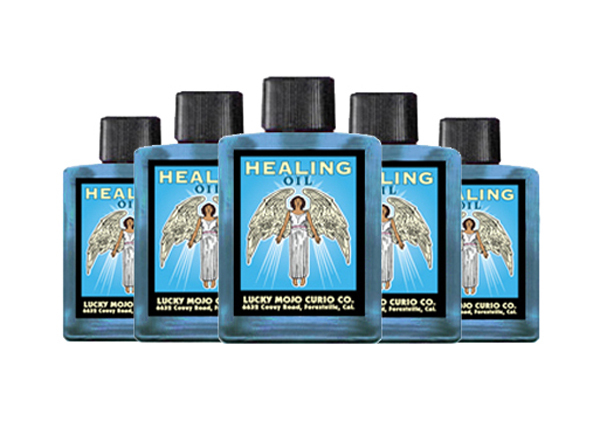 The Lucky Mojo Curio Company is holding a random drawing to give away 8 bottles of hand-made Lucky Mojo brand Healing Oil, one of our most beloved spiritual supplies! Used to mend broken relationships, financial losses, and injuries to the spirit, it is also employed as a traditional folkloric supplement to conventional medical treatments, applied in rub-down rites that call for an angelic emollient. However you use it, Healing Oil can bring comfort to the afflicted and uplift those in pain or distress. 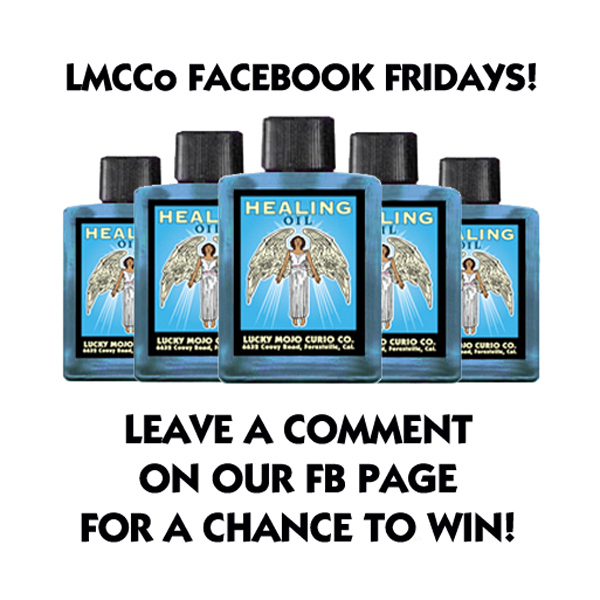 First thing tomorrow morning, we will select EIGHT winners at random, announce their names here, and ask them to message the Lucky Mojo Facebook Page with their mailing addresses, so we can send them their FREE Healing Oil products. We have a winner! In fact, we have 8 lucky winners! Our Facebook Fridays! winners for December 28, 2018 are: James Poore, Sheila McGinnis Hayes, Zehara Nachash, Lilith Jezebel, Sheryl Policar, Jesse Guiher, Parker Naborly, and Rose Quartz.